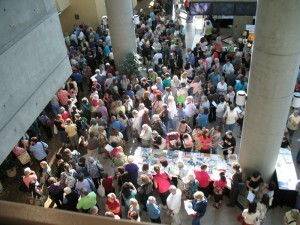 I’m pretty excited that Pacific International Quilt Festival starts this week. I’ve been prepping like mad, which is quite fun for me. On Wednesday we set up, then we’re open for a brief time on Wednesday night for showgoers who are registered for classes. Then, on Thursday morning, the merry madness ensues! Oh, what a great weekend. I see practically everyone I know, and meet a whole lot more. 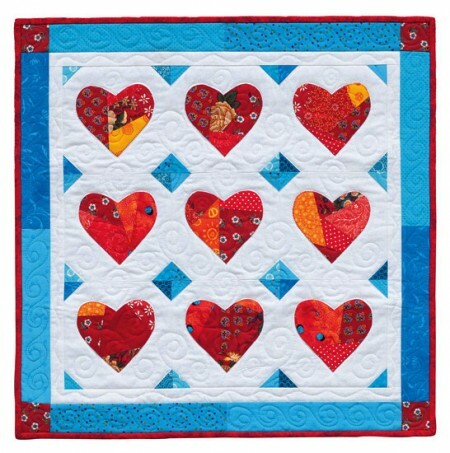 If you’re planning on attending this huge quilt show and conference, please stop by Booth #633 and say hello! Special Sunday hours this year! Because Levi Stadium was recently built just across the way from the convention center, and there’s a 49ers game on Sunday this year, we’re opening an hour earlier at 9:00 a.m. In other news, Martingale is having a 40% off sale on select eBooks this week, and one of them is my Scrap-Appliqué Playground! If you’ve been considering adding this happy book to your collection, alternatively you’ve been eyeing that pile of scraps grow to small mountain size, then this is your chance for a great savings on the book. 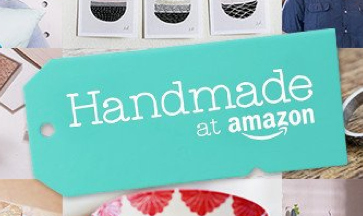 Last tidbit of news: You may or may not have heard that Amazon has launched their Handmade store. It’s all handcrafted stuff! I was happy to be invited to join Handmade, and I’ve got my Artisan Shop all set up with a few items, more to come in the future. 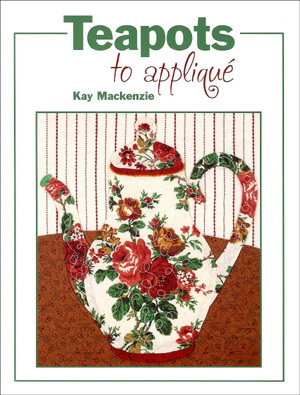 When my first teapots book Teapots to Appliqué went out of print, I created a whole new set of designs and published Teapots 2 to Appliqué. 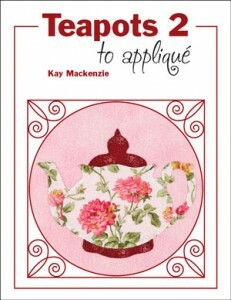 T2 is now in its fifth printing! Yay! 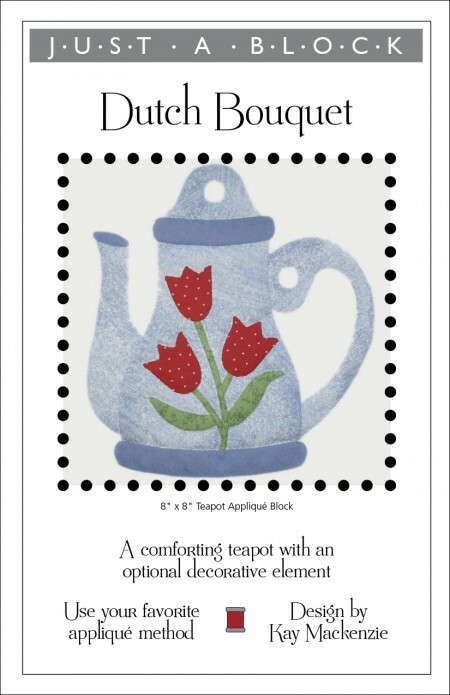 I didn’t want those first 16 teapots to go away, so I put out a pattern pack that includes all the designs plus the sampler quilt pattern, but no additives, preservatives, or appliqué instructions… use your favorite method. Going a step further, over the summer I produced individual downloadable versions of the first collection. They’re available over on Etsy! Here’s an example of what they look like! 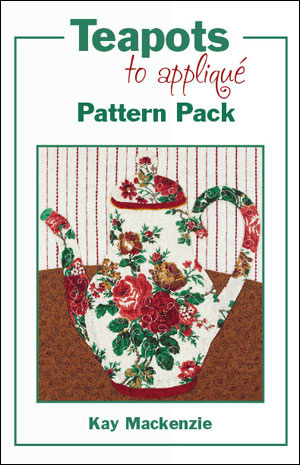 To see the 16-block pattern packs that are printed on good ol’ paper, click over to the Quilting Patterns section at Etsy.